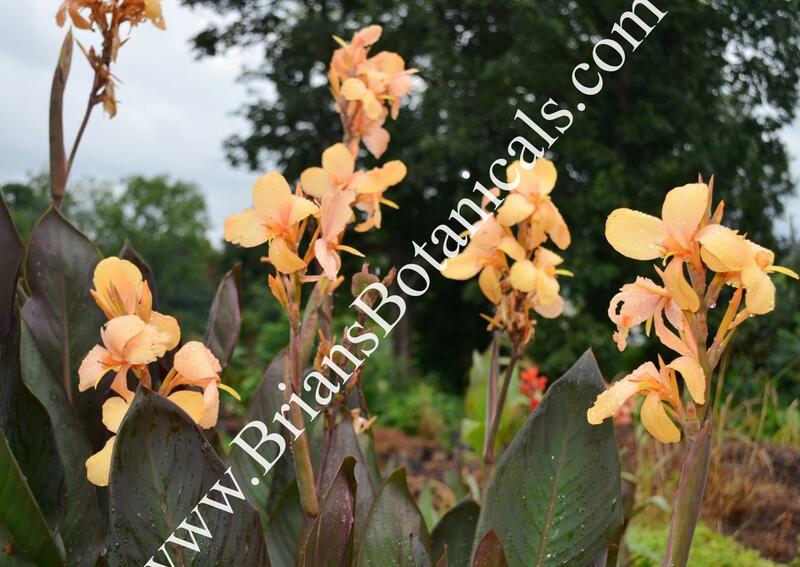 Canna Day Dreamer is a new hybrid released from Brians Botanicals in 2016. Canna Day Dreamer has been on of my favorite new Cannas hybrids I have grown the last few years. I really have been looking for a great canna with contrasting leaves and flowers and Canna Day Dreamer has been a great addition to my gardens.? The foliage is a dark bronze to maroon color while the flowers are a light peach and sometimes fading to pink with age. Mature plants grow to 6 or 7? feet tall and makes a huge impact for gardens while heavily flowering all summer long.? Supplies maybe limited.